The ANC said the state-owned power producer’s decision to reinstate Brian Molefe as CEO is “unfortunate and reckless” because none of the graft accusations against him have been set aside. 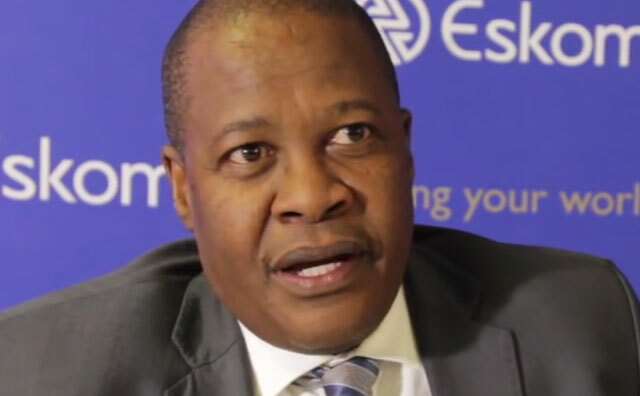 Molefe, who resigned from Eskom in November, will return as CEO on Monday, Khulani Qoma, a spokesman for the producer’s board, said by phone on Friday. The public protector found in a report last year that Molefe favoured the Gupta family, which is in business with President Jacob Zuma’s son, by awarding coal-supply contracts and helping them buy Optimum Coal. While he and Eskom denied wrongdoing, Molefe quit on 11 November. South Africa has directed billions of rand to help struggling state-owned entities and their poor governance has been cited by rating companies as a risk to their assessments. Last month, thousands of people took part in nationwide protests against corruption, a lack of accountability within the government, and cabinet changes that saw respected leaders, including former finance minister Pravin Gordhan, lose their jobs. The board’s decision “is tone deaf to the South African public’s absolute exasperation and anger at what seems to be government’s lacklustre and lackadaisical approach to dealing decisively with corruption — perceived or real”, the ANC said in an e-mailed statement. Public enterprises minister Lynne Brown last month objected to a R30m payout for Molefe and ordered the board to scrutinise it. The option to ask him to return arose from that process, Qoma said. “The board decided to rescind the initial decision to grant him early retirement” and that “triggered his reinstatement back to the employer’s organization”, he said. Molefe was sworn in as a lawmaker representing the ANC in February and had been named as a possible replacement for Gordhan as finance minister. He has resigned from parliament, effective Sunday, national assembly Speaker Baleka Mbete said in an e-mailed statement. Molefe’s appointment “may raise more questions about the state of governance” at state-owned enterprises, Standard Bank analysts said in an e-mailed note to clients. The public enterprises minister is expected to give a statement later on Friday, spokesman Colin Cruywagen said by phone. Yields on Eskom’s US$1,75bn of bonds due in January 2021 declined 3 basis points to 5,4% at 11.04am in Johannesburg. Previous ArticleOne bitcoin is now worth how much? !